Just last week we closed a deal with a few of our neighbours and bought 2 plots of land reaching 2 acres in all. It's just a few minutes walk from our home. 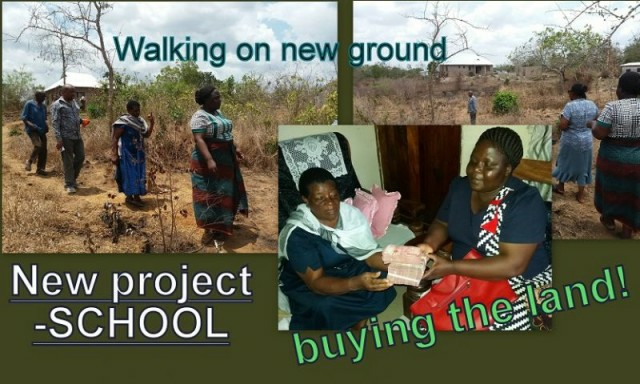 Even before we came to buy our original land here where we live now, we had a desire not only to build an orphanage, but also a school. It was hard to see then how any of this could be possible, but God has shown us that these are His ideas, and He is our builder and provider. SO we are taking a new step of Faith! Our plan is to start teaching January 2018! We will be teaching our own children there and also children from the village. It will be a small school from Nursery up to Primary each year group just one class. The children are excitedly praying each day with us! A VISIT WITH A PURPOSE! 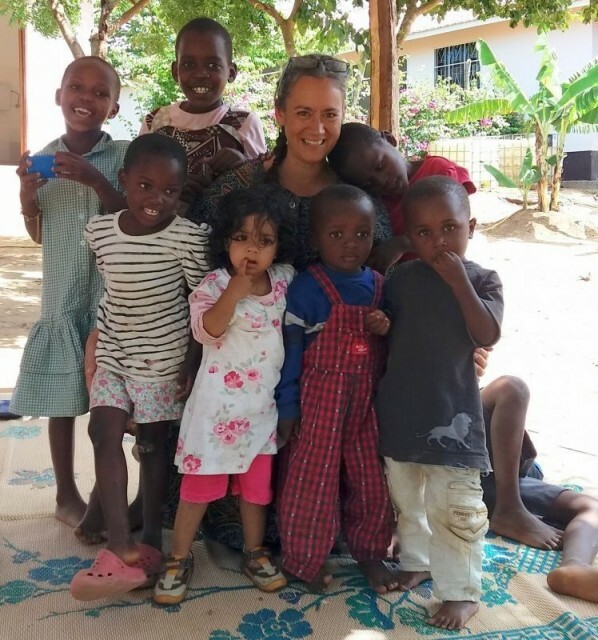 Bupe wrote a few months ago to ask if she could visit when she planned to come to Tanzania to visit her family here in September. She has wonderful story! ( Which I will ask her to write herself!) Until then - In short - Her Grand father was an orphan who was cared for by a couple from Scotland. She searched the website for a project that she as President of the Students Unions for the Universities of Liverpool may like to support. She and her daughter Sarah, only six years, and the Vise President of the Student Union Alicia only came for a few hours with Lea, Bupe's sister who lives here in Tanzania. Sarah was so happy to be with the children that she was really upset to go, but I don't think it was the last time they will be here. Bupe, we look forward to hearing from you yourself! Thank you for your heart for Tanzania and the children of Tanzania. and we look forward to next April ! Meet another very special lady. Her name is Bonita. 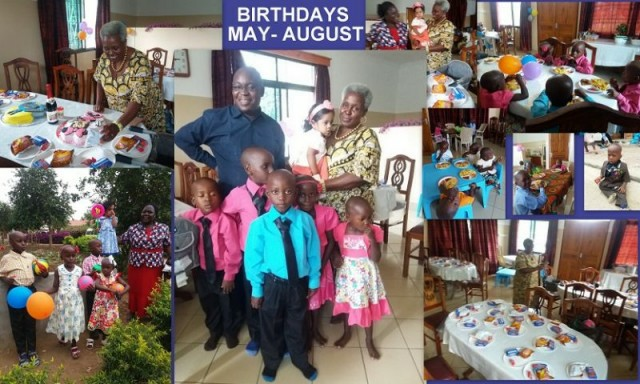 In August she came with soda, and birthday cake to enhance our birthday party for Bianca's 2nd, and Emmanuel's 6th, Shangwe's 5th, Sabina's 6th Patrick's 6th, and Advent's 8th. It was such a special time. Standing next to Bonita in the middle picture is our Parish Priest who also made the children feel special by just taking the time to visit as he often does. I am so grateful to get to know this wonderful lady. The children are getting to know her well. As not only has she visited twice, but is becoming MUM to all. Mama Hilary Tunakupenda sana, asante kwa upendo wako! 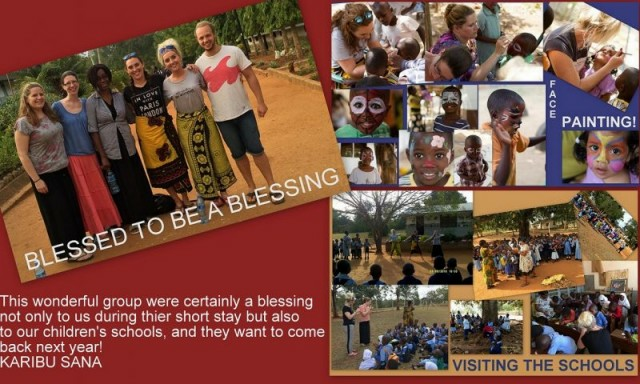 Having been to Karibu Nyumbani for three weeks last year as part of a small group of 6 young people and two adult group leaders I couldn’t wait to return and it took me just under a year to come back to this incredible place. This year I stayed for just over a month bringing a new friend with me (Molly) who couldn’t wait to come out and share in the experience after my non-stop talking about Karibu Nyumbani throughout the past year. It truly is an amazing place which really does feel like a second home. The immediate feeling of being part of one big family you experience from the moment you arrive is truly heartwarming. 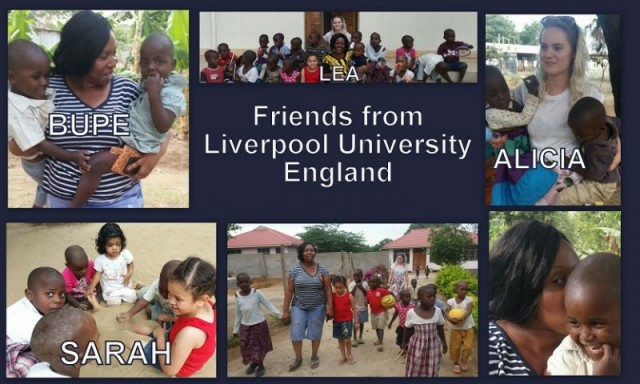 It was amazing to see how the children have grown and changed over the past year and was particularly lovely to see the Neema’s huge development. Karibu Nyumabni is truly a place filled with love and thanks for all that they have and a place I will always keep close to my heart. Sian and Molly, thank you so much for all you brought to our Home! 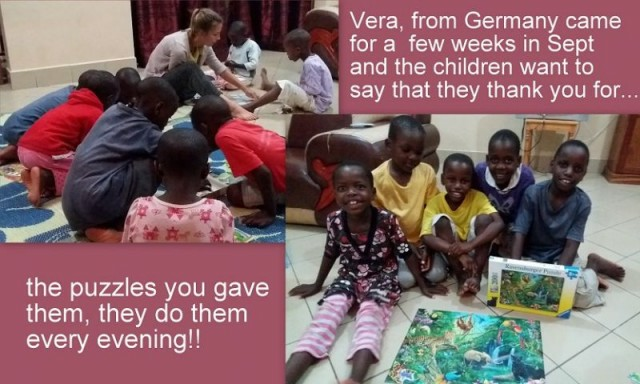 At the end of July, we were sorry to say good bye to our wonderful “Caritas Volunteers” Lina and Tabea. They both gave of themselves completely in very different ways. Lina was like Florian’s “Aunty” for at least half of her ten months with us. I could not have gone away to England without her help. She was also a great help with accounts in the office. Her greatest gift was singing almost every day, and leading the children in worship. They learned so many English songs. Tabea, threw herself into anything she could see that needed doing. Mostly with the children. Daily in the class room being teacher, and also a close friend to the Aunties helping in the kitchen, washing etc. She was truly a friend to all! 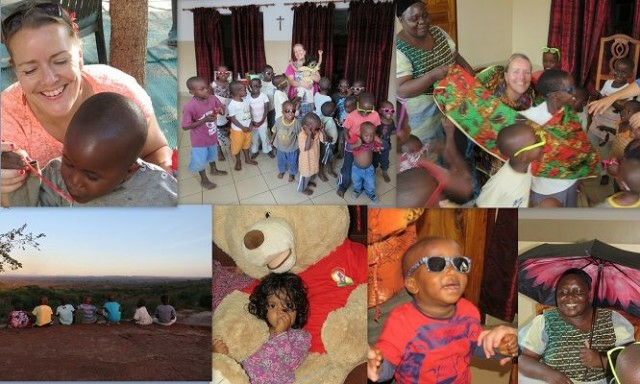 We miss them very much and are looking forward to the next 2 “Caritas Volunteers” 2 boys!! Actually it was the 3rd garden party Jan and Patrick have run for us. 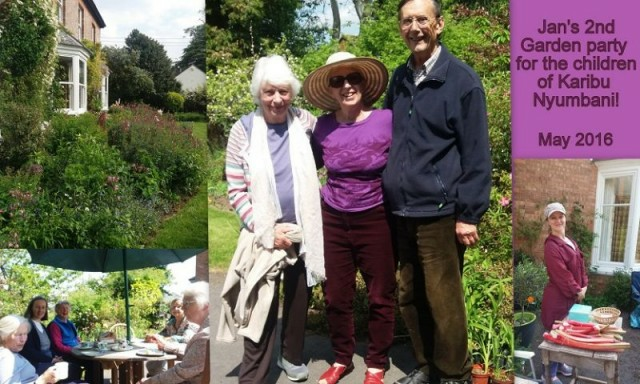 I had a wonderful few days with them in their beautiful Garden and it was so good to meet all their family and friends. Also Angela White and her family whose parish has been extremely generous to us in the last few years. God bless you all. While I was in England Ludmila took Baby Francis to be tested for HIV and he was found to be positive. Sadly he needed to be moved to a hospital in Dodoma. It was a big shock for everyone especially Ludmila who mothered him for 6 weeks. The children continue to pray with us for his healing. 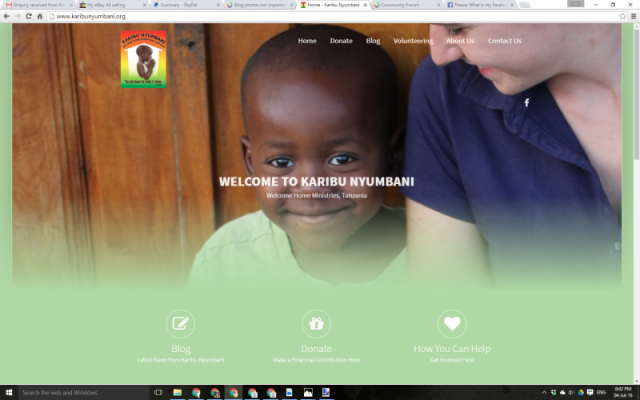 Hi everyone, at last I am back into blogging! I had a great 6 weeks in England at the beginning of May till mid June and the last few months have just flown by but have been full of exciting news so I will try and fill you in in the next few days. Thank you all for keeping in touch. 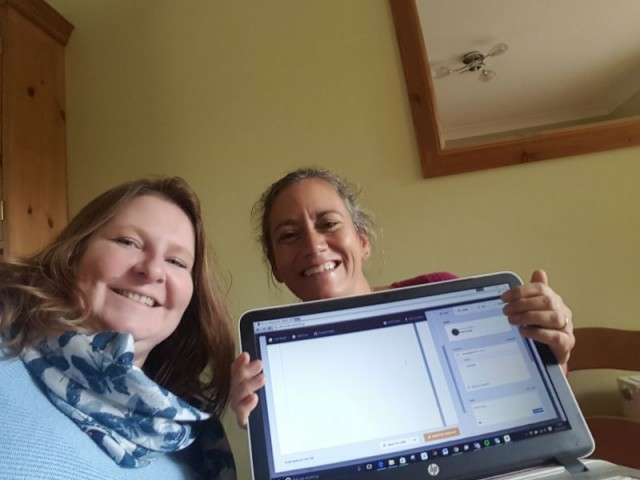 Here's Fiona and Liz working on the website in the UK. 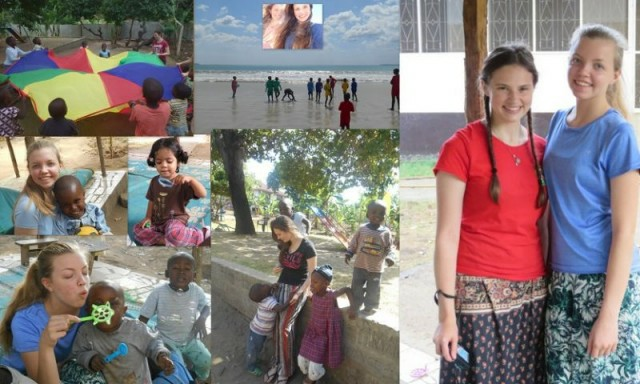 Now Fiona is back in TZ, we're working together over the internet! We hope you really like it. Why not contact us to let us know what you think? Joy on both faces as baby Francis meets Ludmila- Mama Mia! Little Francis's mother died one month after he was born. He came in a state of shock, and Ludmila had no sleep for at least 3 nights. He has settled and is very happy in his new home! Click "continue reading" for more pictures and details. Our Easter weekend was full of visitors! Every Catholic Parish has small Community groups and during Lent the Communities decide what and where they can do their "works of Mercy! ".- "VISIT THE ORPHANAGE! So we had all the youth from our parish -3 coach loads of children. Meanwhile Ester was already hosting another small group from a village near by. They brought with them gifts of soap, flour, sugar etc. Not only on the Easter Saturday but all through the week we had families coming to bless us with gifts. We felt overwhelmed by the love and generosity that these very precious people showed. A VISITOR FROM GERMANY !! We had the joy of having Lina's mum too for the Easter week. Lina from "Caritas" has been with us since October 2015 very much part of the family now, and her mum felt just part of us too even though it was a very short stay. MASSAI COME AND DO ESTER'S HAIR! One wonderful cultural thing here is that the ladies sit around doing each others hair. 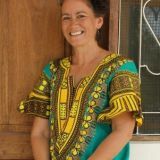 However the finest plaiting is usually done by the Massai, so Ester went for the best for Easter!! DOMINA RETURNS IN TIME TO FILL MANY GAPS! 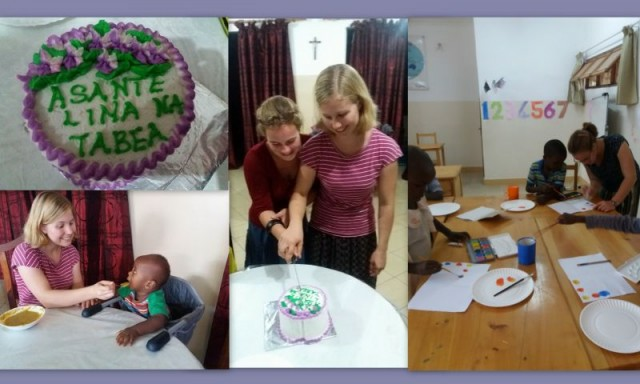 Samueli and Imani came early March as you can see in the photo (left)- hesitant, tired from their long 12 hour journey from a Hospital in Mbeya. Both had lived there since birth, not without relatives at all, but with no- one able to look after them. The hospital is poor and we have found that as with Neema who came not able to walk, these two had problems with their legs- both extremely bowed! Now they are settling and soon to be getting treatment for their legs. They are both smilers! Some time ago Amelia's Grandma mentioned that she had a wonderful Grand daughter who might one day like to come and volunteer. Before volunteers arrive I always wonder what area they will most like to help with. Amelia and her friend Catherine arrived and fitted in immediately and helped in ways I think they did not expect!! They not only took good care of our little children, but also our animals! They were up early most mornings cleaning or mucking out the animals!! Our German Volunteers from Caritas had a break from sweeping the courtyard! They both also just had the knack of asking me if I needed help at just the right time, so Florian had many evening meals with them and they often gave him his bath! Truly Amelia and Catherine made our home their home in such a short time. We look forward to having YOU back. God bless you both. Two more litters of pigs born this week!